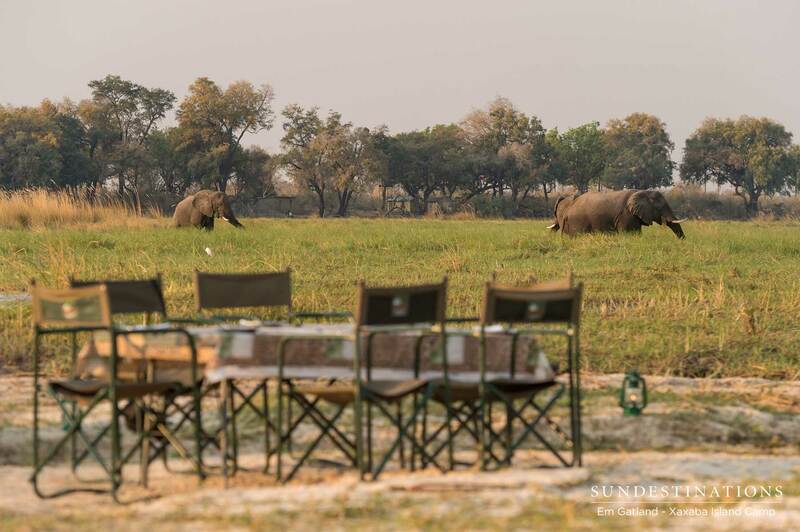 Xaxaba Island Camp is a prime destination not only for game viewing, but also for water safari activities. The island brings you so close to the wild, and is a place in time never to be forgotten. The adventure lovers will never want to leave this remote spot of paradise. Fishing is for the patient, and for those that crave that feeling of the first bite after plenty of waiting. Fishing requires skill way above merely setting the hook and casting your line out. It’s all about timing and quiet observation. 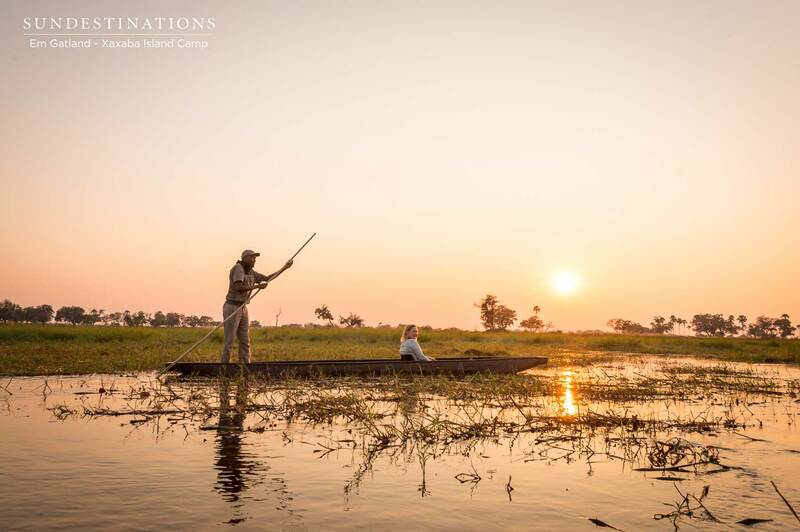 The Okavango Delta is a fisherman’s delight, and the crystal waters laden with water lily’s hide plenty of tilapia, bass and bream beneath its depths. You will need to bring your own fishing equipment and ensure that you are there during fishing season (Sep/Oct) to enjoy a productive time on the water. Swimming in the Okavango Delta?! Yes. There are certain areas of the Delta that are quite shallow, and safe. Guides know the area well and if the conditions are right and they deem the water levels acceptable, you will be whisked off to a section where swimming is possible. Guests will wake up when the sun rises, grab some much needed coffee, and then depart on the walk of a lifetime with local guides. The morning walk is roughly 3 hours and takes place on Chief’s Island, the neighbouring island to Xaxaba. This familiarity between the people and wildlife of Chief’s Island is the reason we walked without rifles. If the water levels are high, you will take a mokoro to the island, hop off and begin your walk. 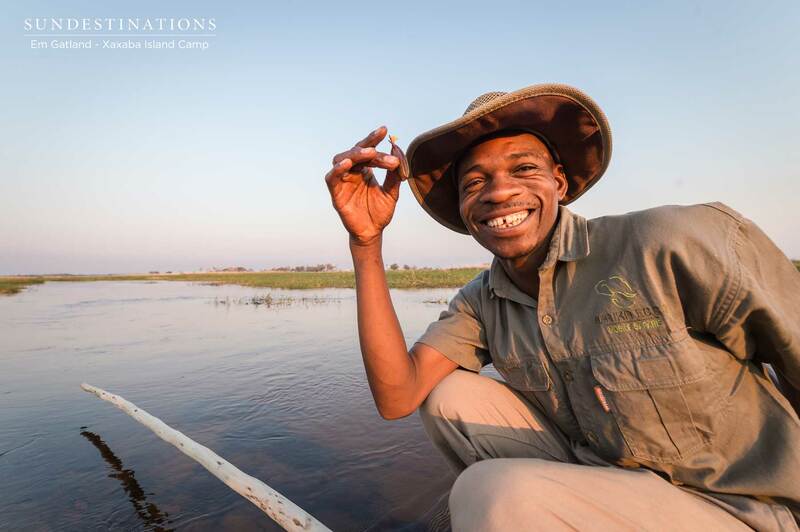 Discover the rare Pel’s fishing-owl, observe elephants, spot red lechwe and ogle over the remnants and carcasses of crocodile kills when the water is low. 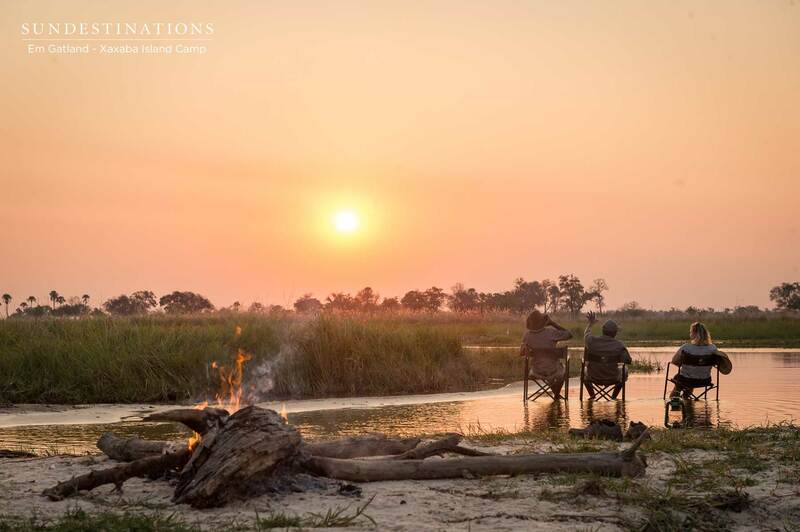 Upon arrival at this immaculate destination at Xaxaba/Eagle Island Boat Station you will be whisked away across the open waters of the Delta to your isolated island. This 20 minute boating trip will provide ample opportunity to spot hippo, crocs and the lively world that dwells beneath the surface. Watch the huge herds of pachyderms wading across the water while you cruise through the expanse of crystal clear waters. Xaxaba mekoro trips offer something slightly different in that they aren’t used on the open waters, but rather the narrow reed-lined channels. These traditional dug-out canoes are used to glide through the water at sunset, and explore narrow waterways inaccessible on a boat. The Xaxaba guides are experts in the field of wildlife and have an intimate knowledge of the island, which is their backyard. 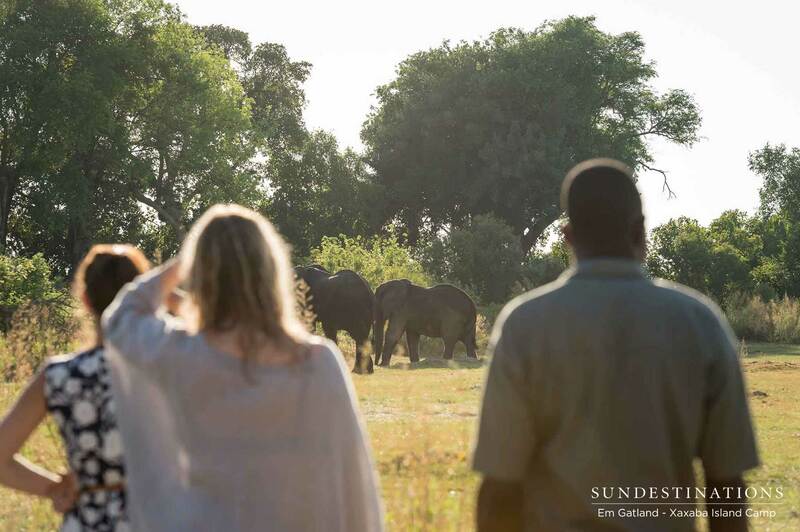 Evenings on safari are spent celebrating the much anticipated golden hour. 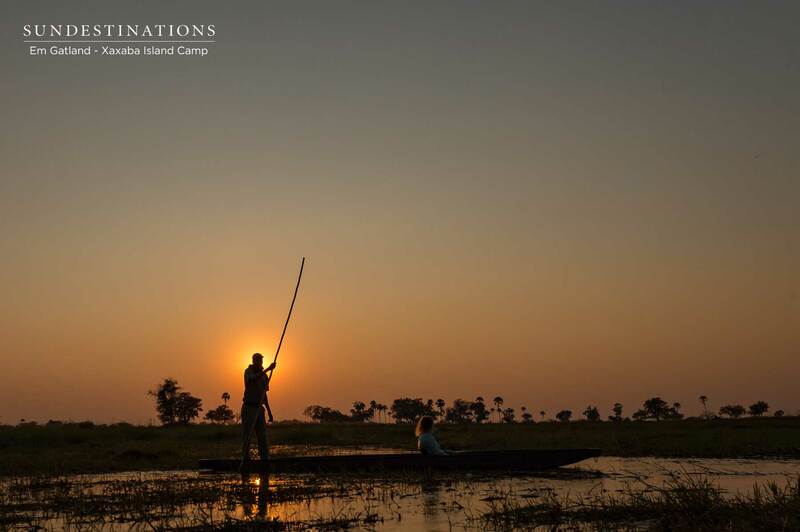 Guides will transport you to a hidden destination on the banks of the Delta, where a makeshift boma with chairs, campfire and snacks are set-up. Sit with your feet in the water while enjoying you favourite sundower drink. A memory of a lifetime!